Djeco's Ballerina on Stage music box plays a sweet tune whilst the little ballerina dances! 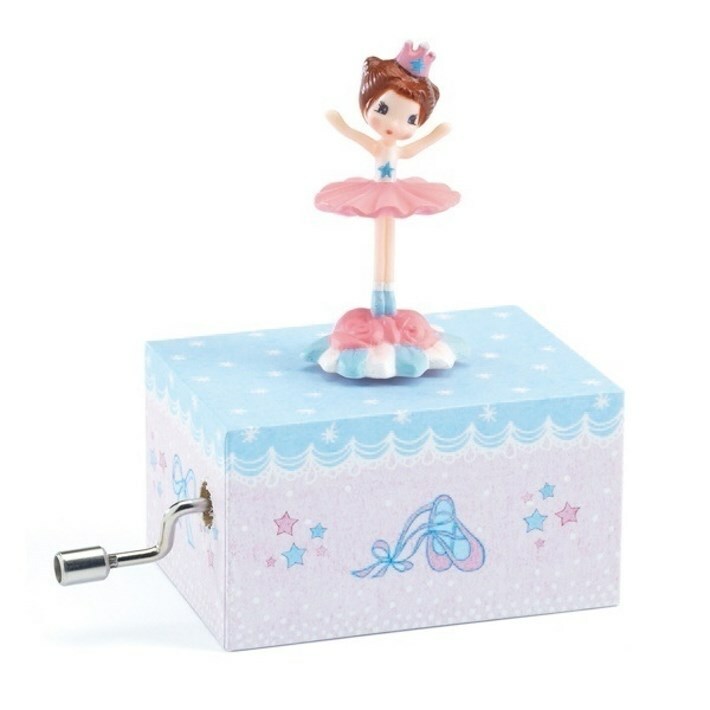 Turn the handle to hear the music and watch this adorable ballerina spin - the faster you turn the handle, the faster the music will play! This musical box plays the classic tune, ‘The Blue Danube' by Johann Strauss.